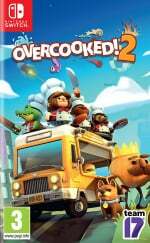 Overcooked 2 (Team 17, Tue 7th August, $24.99) Buddy up or go it alone as you cook up a storm, chopping, steaming and frying your way through dynamic and outright crazy levels. 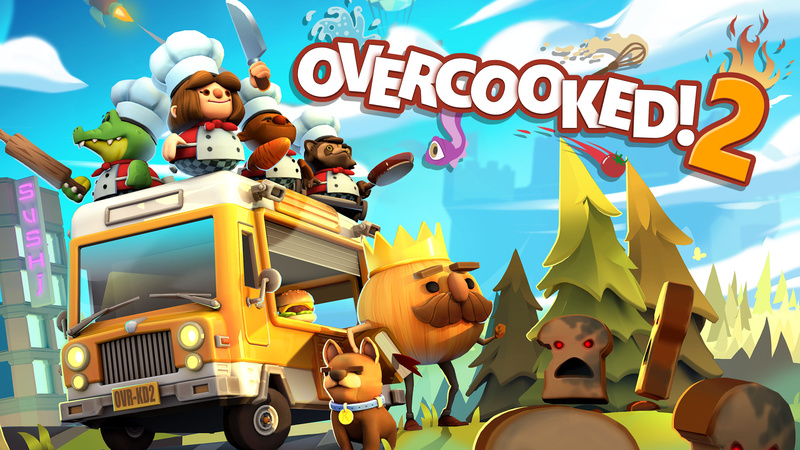 Now with online multiplayer for up to four chefs, there is no such thing as too many cooks and the steaks have never been higher as you prepare to save the Onion Kingdom. . . Again. 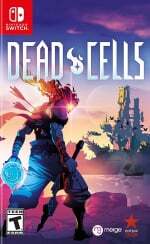 Dead Cells (Motion Twin, Tue 7th August, $24.99) Dead Cells puts you in control of a failed alchemic experiment trying to figure out what's happening on a sprawling, ever-changing and seemingly cursed Island. Tough but fair combat, responsive controls, challenging foes, permadeath and of course, the emergency panic roll to get you out of trouble, make for a demanding, visceral and cathartic action game. 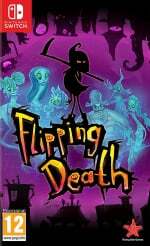 Flipping Death (Zoink! Games, Tue 7th August, $19.99) When Penny dies under mysterious circumstances, she wakes up and finds herself filling in for DEATH HIMSELF! This temp job comes with a new power - the ability to flip between the worlds of the living and the dead! In this puzzling platformer, she’ll need that - and her wits - if she ever hopes to unravel the mystery of her demise. 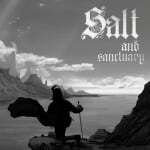 Salt and Sanctuary (Ska Studios, Today, $17.99) Salt and Sanctuary seamlessly combines fast, brutal, and complex 2D combat with richly developed RPG mechanics. Discover, craft, and upgrade over 600 weapons, armor pieces, spells, and items as you explore a cursed realm. Read our Salt and Sanctuary review. 1979 Revolution: Black Friday (Digerati, Today, $11.99) Based on true stories and historical events, 1979 Revolution: Black Friday is an interactive drama about choice and consequence, chaos and order. The year is 1978, the place is Tehran, Iran. You play a photojournalist who returns home to find his people protesting the ruling King, the Shah. Armed with your camera, you're soon pulled into a dangerous world of revolution and civil unrest. Ayakashi Koi Gikyoku -Forbidden Romance with Mysterious Spirit (DIGIMERCE, Today, $24.99) A sweet and sour dramatic forbidden love story between a human and mythical spirit! Battle Supremacy (Atypical Games, Thu 19th July, $9.99) Unleash the full power of your device in Battle Supremacy, a WWII tank game with thrilling gameplay and showoff-worthy visuals. 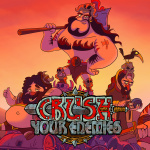 Crush Your Enemies (Vile Monarch, Today, $8.00) Go back to the days when you thought real-time strategy games were awesome. But this time you don't need to spend a whole hour to just win a skirmish. Jump right into battle and use your trusty strategic and tactical skills to crush hundreds of enemies within minutes! 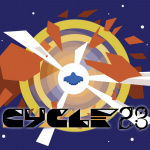 Cycle 28 (Pill Bug, Today, $6.99) Cycle 28 is a space shooter in the classic arcade style that keeps you pushing for a high score. The controls are simple. The action is fast-paced. Intense dogfights lead to epic, screen-filling bosses. Read our Cycle 28 review. Dawn of the Breakers (Cyberstep, Thu 26th July) Defeat the impending menace, the mysterious "Ghouls"! Utilize new abilites with each transformation of your Heroes! Discover the fate that awaits a young man afflicted with amnesia... Embark on an unpredictable journey in the fully realized Story Mode! Play with friends in co-op, or compete against them for glory in the Arena! Form a team with 6 Heroes, and terminate the Ghoul threat with explosive techniques! Eekeemoo - Splinters of the Dark Shard (Cooply, Today, $4.99) In this awesome third-person adventure game you will help Eekeemoo rescue his friends from the clutches of the evil Dark Shard! Your quest will take you deep into the Dark Shards four corrupted splinter worlds. You'll help Eekeemoo solve puzzles, complete tasks and battle monsters, legions of the undead and hugely terrifying boss monsters! Flat Heroes (Deck 13, Today, $9.99) You are a square — a two-dimensional loner in a one-dimensional world. You’re just a square, trying to survive dozens and dozens of increasingly intense challenges. 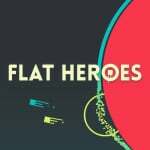 Read our Flat Heroes review. 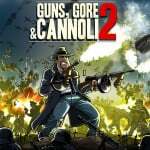 Guns, Gore & Cannoli 2 (Crazy Monkey Studios, Today, $12.99) Welcome to the 1940’s. Europe is being torn apart by the war, the USA is preparing for battle and the mob does business as usual. Only this time they went too far, even for Vinnie’s standards. Iconoclasts (Bifrost Ent., Today, $19.99) Join renegade mechanic Robin and uncover the secrets of a dying planet. Explore a big world filled with intricate puzzles, interesting characters and menacing bosses in a beautiful platform adventure that tells a personal story about faith, purpose and the challenge of helping people. Read our Iconoclasts review. In Between (Headup Games, Tue 7th August, $11.99) In Between is an atmospheric, award-winning platformer where you solve mind-bending puzzles by manipulating your surroundings and gravity itself. In Between is set inside the mind of a man hit by a cruel twist of fate. Johnny Turbo's Arcade: Shoot Out (FTE Games, Today, $7.99) Stop the criminal gangsters and save the civilians in this action-packed shooter. Kenshō (JetDogs, Today, $14.99) Begin your journey through a surreal world where nature, time and space intertwine. Mysterious things happen in a ruined room. Doors inside that room lead to different worlds and beautiful landscapes. Loot Monkey: Bling Palace (Tackorama, Mon 6th August, $7.00) Loot Monkey: Bling Palace is 2D, flip-screen platformer that tests your wits and your patience, not your ability to mash buttons. Inspired by Jet Set Willy and Manic Miner, Loot Monkey: Bling Palace is more of a 'thinking person's platformer' where you'll need to consider your route through the many strange rooms of the loot-littered Bling Palace. 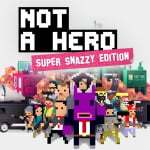 Not A Hero: Super Snazzy Edition (Devolver Digital, Today, $12.99) Professional assassin turned amateur campaign manager Steve is charged with cleaning up the city by an anthropomorphic rabbit and mayoral candidate from the future named BunnyLord. Now Steve and his expanding roster of dubious heroes must wield their unique skills to shoot, slide, dive, and take cover behind a political platform built on ethics, accountability, and an inordinate amount of gunfire. 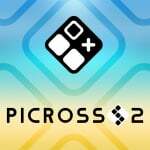 Picross S2 (Jupiter Corporation, Today, $8.99) The second part of the new Picross series for the Nintendo Switch has been released! Now you can play the new "Clip Picross" mode in addition to the 300 problems already available for Picross and Mega Picross! Solve the questions on the pieces scattered across the board to complete a large illustration in this mode. Pixel Action Heroes (Cypronia, Mon 30th July, $4.99) Play as an iconic physics-based action hero from the movies in fully destructible block building world. Become an FPS level designer! Road to Ballhalla (tinyBuild Games, Today, $14.99) - Rhythm-driven gameplay: Move with the music to overcome even the most difficult hazards, like laser beams or insane camera angles trying to explode both your balls and your brain. Slam Land (Bread Machine Games, Tue 7th August, $7.99) SLAM LAND, a magnificent new 4-player couch fighting/party game by Bread Machine Games. Select your fighter and punch, grab and DOUNK! your way through five modes, ten levels, and a surreal world overseen by a benevolent giant whose only amusement in life is to witness sporting and majestic slams. Win his favor or get stuffed trying! Super Blackjack Battle 2 Turbo Edition - The Card Warriors (Headup Games, Tue 7th August, $7.99) Super Blackjack Battle II Turbo Edition introduces a roster of 12 very different characters all competing to become the greatest Blackjack player of all time. The Inner World (Headup Games, Fri 3rd August, $11.99) Embark on a crazy adventure to the wonderful and mysterious world of “Asposia”. Robert is a novice, a bit clueless, but with a heart of gold. He lives a peaceful life as a court musician in Asposia's largest wind monastery. 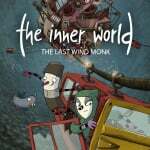 The Inner World - The Last Wind Monk (Headup Games, 18th July, $14.99) Solve mind-bending puzzles in a world full of mystery and save the family of the flute-noses! Their dynasty has been watching over Asposia for centuries on end. In secret, they fill the roly-poly world with light and life. But when their existence is discovered, they become hunted. Toby: The Secret Mine (Headup Games, Tue 24th July, $9.99) A peaceful way of life in a small village in the mountains was thrown into disorder. Someone has kidnapped most of its residents. A couple of brave hearts tried to rescue their friends but none of them has returned. Little Toby didn’t want to just sit and wait so he decided to find them by himself. He went to the near deep forest but he soon realized this is just a beginning. Yoku's Island Express (Team 17) Yoku has arrived on Mokumana and he’s ready for the easy life, soaking up the sun and delivering parcels on a tropical paradise! WarioWare Gold (Nintendo, Fri 3rd August) Play his brand-new microgame collection, where you’ll have seconds to complete 300 different microgames. Better think fast to succeed! You’ll use the touchscreen, tilt the system, push buttons, and rock the mic as you laugh through fully voiced stories featuring new and classic characters! 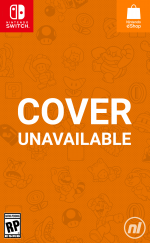 New microgames and remade classics from across the series—300 in all! Read our WarioWare Gold review. Forest Escape (RandomSpin, Today, $0.70) Forest Escape is: Run, run away. You have to escape from this dangerous, terrible forest. Danger breathes in your back and it's gaining speed, it will soon catch you up, run faster. Just don't hit the tree! Fire Emblem Heroes: Feh’s Summer Celebration – It’s been one year and six months since the release of the Fire Emblem Heroes smartphone game. We’re throwing a Summer Celebration full of limited-time events, including log-in bonuses, special quests and daily reward maps, to express our gratitude for your continued support. Check out the game site for more information about the celebration. My Nintendo is also offering up to 50% discounts on action-packed titles that’ll give your gaming skills a workout throughout the summer. Check out the rewards and redeem your points for the discounts today. Picross S2, Iconoclasts, WarioWare, OverCooked 2, that Yoku demo, and maybe Dead Cells. Picross alone is gonna eat up all my free time for awhile, haha. WARIOWARE - I LOVE these games! I can’t believe after almost a two year hiatus I will be playing the 3DS again tomorrow! Edit: Played the demo. I love the voice acting for Wario and the full lines of speech work really well. Bring on the Mario movie! I was hoping Prehistoric Isle 2 would hit today. Darn. Good week all around. I downloaded Dawn of the Breaker a few days ago, pre-purchased Overcooked 2, and pre ordered WarioWare Gold at Best Buy since it's one of the few games I'm willing to share around so my friends can try to beat my score. If you haven't tried Yoku's Island Express, you no longer have an excuse. Amazing game. Anyone else pretty excited for Dead Cells? I've heard great things about it! I've finished all the Mega Man X games on the Legacy Collections, and I'm almost done 100%-ing X8 so I'm probably gonna start playing both Dead Cells and Hollow Knight next week. Maybe also a second run of Axiom Verge! I'd also like to try Iconoclasts, but seriously I don't have time for this many games...I know this is better than the droughts we had back during the Wii U, but I can't keep up with these weekly bonanzas! I wonder why Nintendo Download (America) article (here and on other sites) doesn't include sales, ever, unlike European version. Strangely enough, in the American web they're much easier to find, whereas in the European one it's tricky. I'll download the new demo, but otherwise, I'm holding out until either SK Reflexions or Okami HD releases. Whichever one comes first. Good God... there are at least 8 games here I will buy this month. Will I ever be able to start Octopath?! Overcooked 2 for me this week. I may have to check out Wario Ware Gold though. @shonenjump86 it did in the EU I think. I really don't like the 25 buck indie trend. They just keep raising the price. I have never had a problem with 20 bucks but you are starting to move into retail pricing. I'd rather have a physical copy if I'm paying more than 20. It might just be me. Already bought WarioWare, none of the rest of this even passingly interests me. I'll be grabbing Warioware Gold at some point. Looks like the Wii U eShop is even getting some attention this week! @whanvee No, I agree with you too. At that point I would wait for the inevitable sale or a physical copy. Iconoclasts and Dead Cells for me. Both already paid for. Can’t wait fo DC on Tuesday. Been dying to try it. I think this is the first week I’ve selected “Nothing for me” 😢 What a dissapointing set of releases. It feels weird for me to say this, but Warioware on 3DS will be my gaming weekend. Really looking forward to playing a proper Warioware game again. Then Overcooked for me next week. Picking up Wario Ware Gold tomorrow after work. Can't have enough 3ds games! @steeltekki @antdickens @CW13 I’m currently at work but I’ll definitely check the eshop once I’m done here. Been wanting to play that game. Dead Cells, Overcooked 2 and Iconoclasts! @Dazza The description for Cycle 28 brings up several red flags in my book (noting nothing but attributes that are obvious staples in a shooter, rather than describe how it's unique), but skimming through your review indicates it's actually good. You guys forgot to mention Neo Geo's "Prehistoric Isle 2". @SuperWeird @Dazza They forget to mention something(s) often. I've brought it up in the past, here's hoping another mention will get the message across. Not sure why some things on the EU Nintendo Download page are saved for next week's US page on NL when they came out this week. I’ll give the Yoku demo a shot. @steeltekki yup, I’m about to buy it now. Picross S2, Overcooked 2, and WarioWare Gold, here I come! @brianvgplayer I had to reread that to make sure I comprehended it, ha ha. But doesn't surprise me! Just waiting on okami to unlock. @SuperWeird we’re just following the information given to us by NOA with this article. They do tend to be super weird with what they do, and do not include in their press release. 1979 Revolution: Black Friday — Intriguing, intriguing, intriguing time piece game. Backlogged and looking forward to a review. Iconoclasts — Looks very fun. Backlogged. Salt and Sanctuary — I will backlog it for now. I usually don't play these types of games, but for some reason this one intrigues me. Sometimes I can shake the rust off my gamer skills and amp up for this type of game, but I'm old now ( lol ). Physical release to rent or sale may change my mind. 1979 Revolution- what’s next? Tiananmen Square The Game?!? 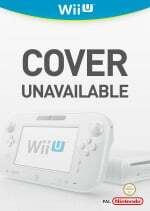 I'm starting to think Nintendo's given up on the Wii U. @Terrible_Majesty Comrade Lenin's Wacky Platform Adventure. Downloaded Prehistoric Isle 2 and i have to say i'm very impressed by the graphics. Really is nothing for me this week. And that's become a pleasing rarity these days. Pleasing because it's rare. Admittedly I have more money being full time employed now - whereas during the Wii and Wii U years I was in high school and college - there are consistently more games on average that interest me. Between digital and retail I have more than 50 games on my Switch already. HOLD ON I somehow didn't see Iconoclasts was this week! @Dazza well you could also look at the eshop and, ya know, report on what you see. instead of just copying and pasting a press release. @JJtheTexan "Danger breathes in your back and it's gaining speed, it will soon catch you up, run faster. Just don't hit the tree!" So much going on here. I love it. You could also bump up the downloads article after noon (EST) in case games released that you missed. Again, wouldn't take long to do. Basically, what I'm getting at is these weekly download articles feel like an example of media outlets rushing to be the "first" to post the news, regardless of how accurate it is. @Painkiller_Mike I agree! I love it!